Morning and evening Qigong exercises for energetic balance throughout the day. Yin and yang—the energies of Qi—have specific qualities. Yang is activating, energizing, and uplifting; while yin restores, calms, and soothes us. In the practice of Qigong, both are equally important to our health and happiness. With AM/PM Qigong, viewers join Master Robert Peng to learn two beginner-friendly practices for kick-starting your day with vibrancy and joy, and winding down for a restful, healing sleep. "Good Morning Qigong" combines gentle stretches and invigorating exercises with guided meditation to awaken you to your true nature as awareness itself. "Good Evening Qigong" modifies the morning routine for nighttime, soothing, relaxing, and nourishing the entire body. Although intended for morning and evening practice, these 30-minute exercises can be used effectively at any time during the day when you need to pick up the pace or to slow things down. 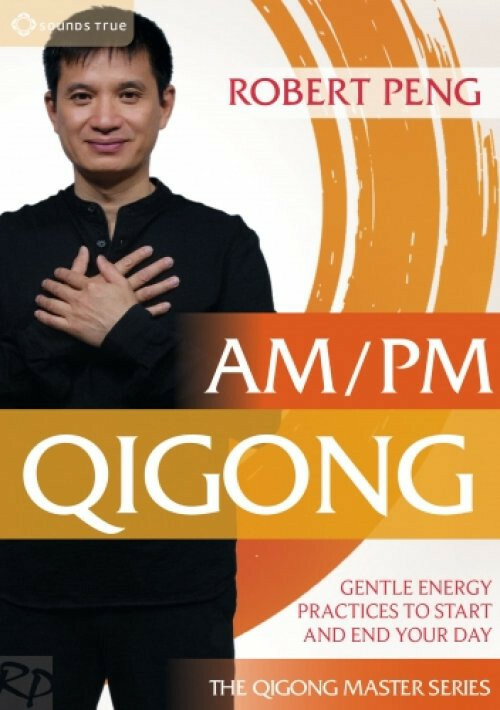 AM/PM Qigong also brings you a special supplementary practice that Master Peng calls the "Lotus Meditation," a 24-minute guided visualization to awaken the heart and connect us to divine love. I appreciate the distinction of winding up my energy and helping to anchor a pace in my body, and I appreciate help settling my energy for sleep. The movements are clearly filmed and narrated.